The doctors' surgery in Wheelers Farm Gardens, North Weald - which has been closed more than 18 months for refurbishment - is set to reopen with a 'soft opening' the week commencing April 15, the parish council has been told. 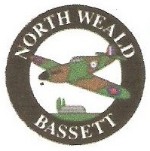 North Weald Bassett Parish Council is to ask The Limes, which runs the branch surgery, for more details about the future running of the surgery. Councillor Sheila Jackman, speaking at Monday's council meeting, asked whether information could be obtained regarding how the branch surgery will be manned, what is meant by a 'soft opening', and the hours of opening. She said: "I'm afraid that they will take some doctors from The Limes and then The Limes will be inundated because there will be no doctors there (at The Limes)." Parking in Wheelers Farm Gardens has been an issue for the surgery and among Wheelers Farm Gardens residents. Councillor Ann Grigg told the parish council meeting that four or five additional parking spaces are set to be provided with a residents' parking scheme being considered for the road. An area by the North Weald Bassett Parish Council cemetery gates has been identified by the parish council as a suitable location for bulb planting by local scouts. Scout leaders are to be approached over the possibly of scouts helping with the maintenance of a garden area at Norway House.